Center Activities - Activities for grades four and five. 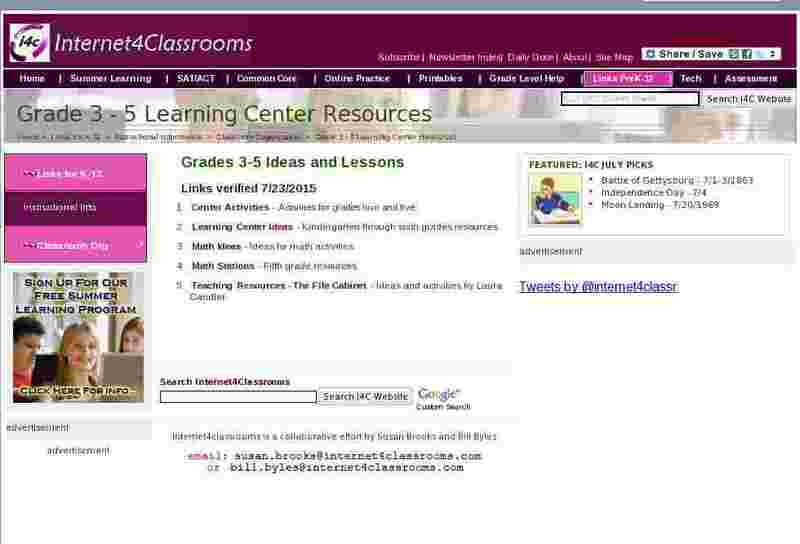 Learning Center Ideas - Kindergarten through sixth grades resources. Math Ideas - Ideas for math activities. Math Stations - Fifth grade resources. Teaching Resources - The File Cabinet - Ideas and activities by Laura Candler.